W.H. Church, as well as writing four books about the Edgar Cayce readings, was also a lifetime member of the Association for Research and Enlightenment (Cayce's organization). He wrote many articles for the A.R.E. Journal, one of their publications, over a twenty year period. In his earlier career, he was an award-winning author of children's fiction and a free-lance journalist for different publications and newspapers. 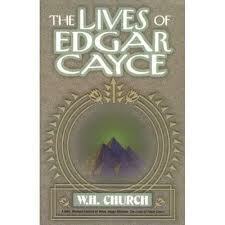 Book Jacket: Edgar Cayce's Astrology for the Soul is presented in two parts. Margaret Gammon's original bestseller about Cayce's approach to astrology makes up the first part, and a fascinating selection of classic articles by W.H. Church on a new approach to astrology for these times comprises part two. Together this material presents an excellent overview of traditional astrology, how the readings view it and sometimes disagree with it, and how the two combine to form a more meaningful tool for greater self-understanding. Planetary and astrological influences have a great effect on our soul growth. This book looks at those influences as they played a role in the lives of individuals who had life readings by Edgar Cayce. From the view of reincarnation, these influences are the result of planetary relationships developed during or between previous lives. Starting with a fascinating look at the Cayce readings' view of astrological influences, this book goes on to provide clues as to how the planets are shaping each of our present lives and what we can learn from the information that came through Edgar Cayce. Amazon Synopsis: Church examines a variety of fascinating subjects inspired by the Edgar Cayce readings in "Gods In The Making". You will find thought-provoking writing on the Bible, astrology, prophecy, science, the nature of man, and much more.